Amazon is becoming the preferred choice for online shopping. Selling products on Amazon is vital to compete in e-commerce. But, getting to the top of Amazon’s search engine isn’t easy. That’s why Amazon’s ad revenue has spiked. Like Google, Amazon merchants must pay to get to the top. 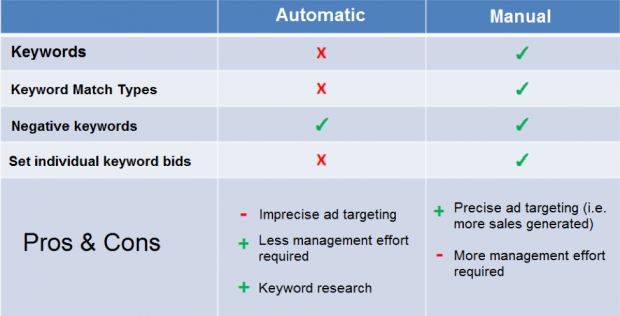 Amazon’s PPC ads are different than Google AdWords and Facebook Ads – there’s more to the setup process. 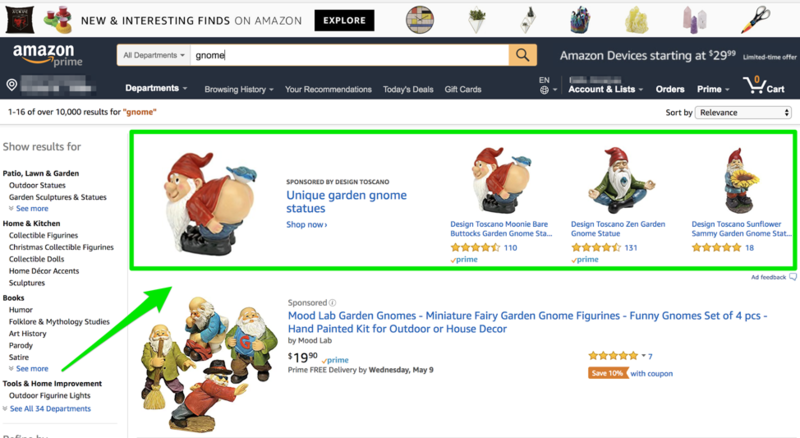 Before you get started with advertising on Amazon, it’s important for marketers to understand how it works and how to optimize ads for the best performance. Here’s everything you need to know to get started managing Amazon’s PPC ads! 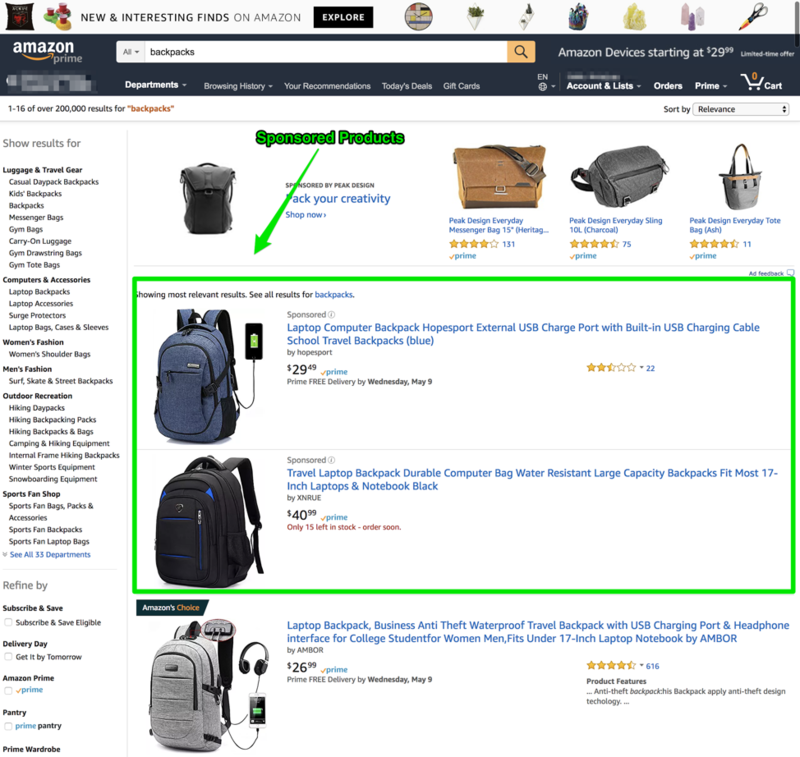 To get started with Amazon’s Sponsored Products, all you have to do is select your products, choose your keyword terms, and set your budget. Amazon will automatically target your ads to the appropriate audience. 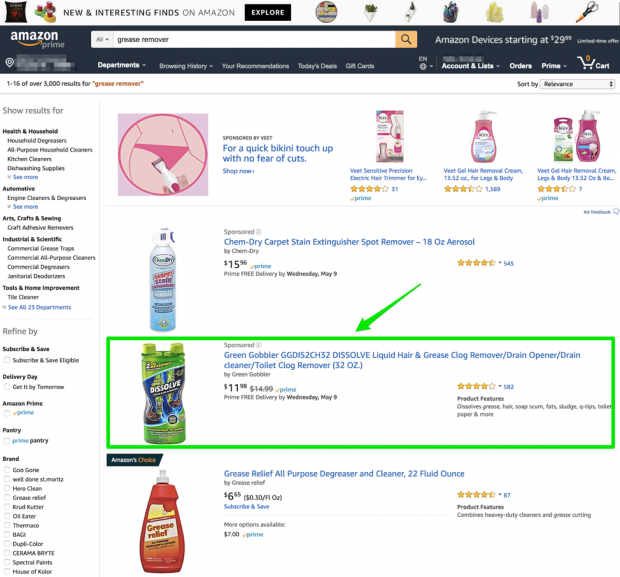 Some businesses have seen better success with Amazon’s Sponsored Products over Google AdWords. Don’t believe me? 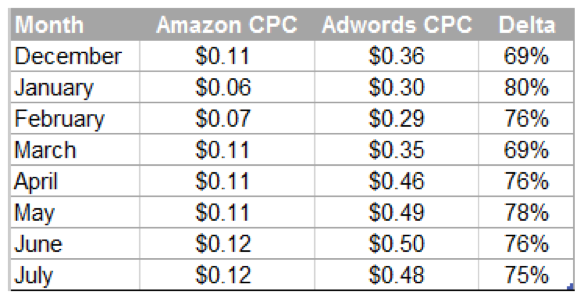 3Q Digital’s CPC on Amazon was $0.12 compared to their AdWords CPC of $0.40. That means in some cases Amazon’s ads can be 3x times cheaper than AdWords CPCs. And, Green Gobbler used Amazon’s Sponsored Products to double sales. 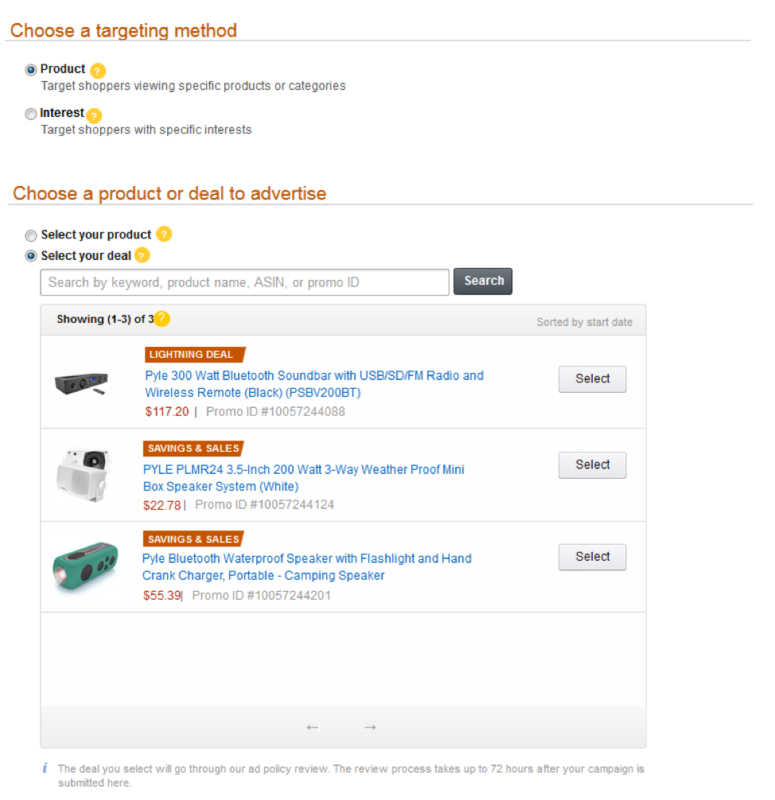 Similar to Google AdWords, you only pay for clicks received on your Sponsored Products in Amazon. 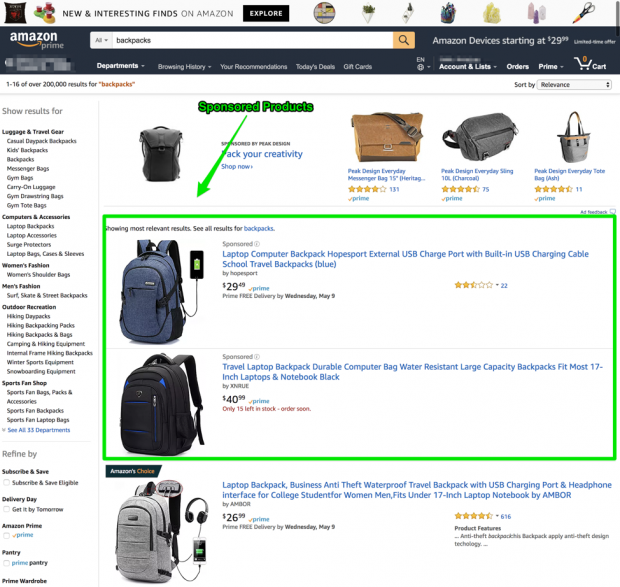 However, PPC marketers can only use Amazon’s Sponsored Products in specific categories. Similar to the Sponsored Products, Headline Search Ads are limited to specific product categories. Headline Search Ads in Amazon are the banner ads at the top of search results with creatives or the brand logo. The goal is to drive buyers to a collection of products. The placement at the top of the search results increases the chance of your products being seen. Jungle Scout sold 849 units with $15,143 in sales over a six week period using Headline Search Ads on Amazon. Amazon recently announced new placement options for their Headline Search Ads. In addition to the banner ad placement at the top of the search results, they now show on the left and bottom of search results. Amazon lets sellers match each deal with the intended audience with Display Ads. Sellers can target the product details page, complementary listings, related categories or interests. Rhodius, a mineral water brand, saw 120% increase in keyword searches during their display ad campaign and 156% increase in organic impressions. The ad choice is up to you, but don’t be afraid to run multiple campaigns. Seller Account: All advertisers must have an active seller account. Shipping: All advertisers must be able to ship to the US. c. Sufficient Order Volume: Amazon requires sellers to have sufficient order volume (based on category) to qualify for the Buy Box auction. 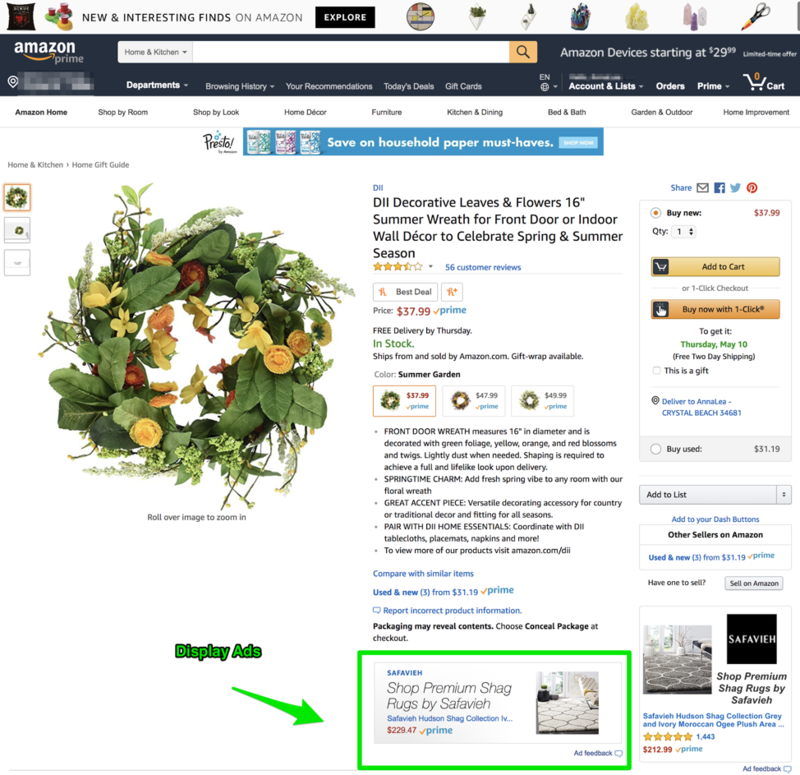 Amazon Brand Registry: If you want to advertise using Headline Search Ads, you must be enrolled in the Amazon Brand Registry. Once all requirements are met, you can start building your PPC strategy for Amazon. Before you begin advertising on Amazon, you’ll want to perform keyword research. A good place to start is Keyword Tool’s Amazon functionality to find Amazon-specific keywords. The free version will give you a list of autocomplete keywords, while the pro version will also give you metrics like search volume, CPC, and competition. You can also use Sonor’s free Amazon keyword research tool. If you want to go one step further, you can buy their Chrome extension for $9.99 a month to track competitor keyword terms. 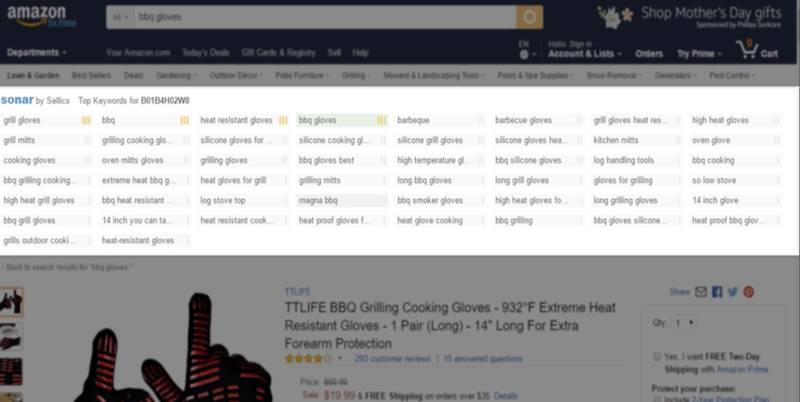 The competitor’s keyword terms are listed at the top of the product page results. “Customers who also bought this” is another keyword gold mine on Amazon. 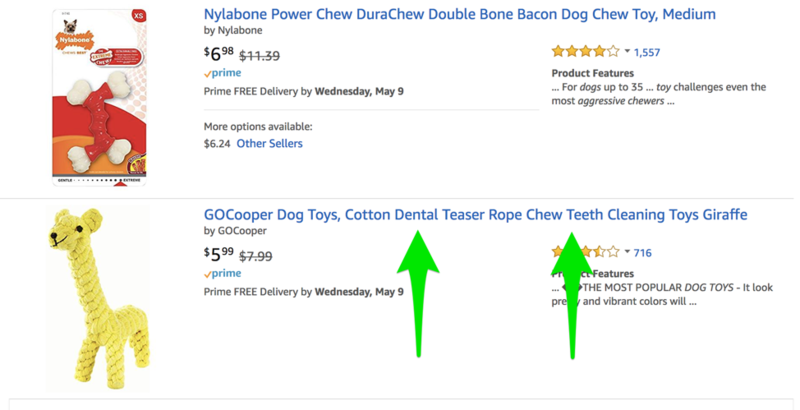 And, looking at competitors product titles and descriptions can give you an idea of what keyword terms they are trying to push. 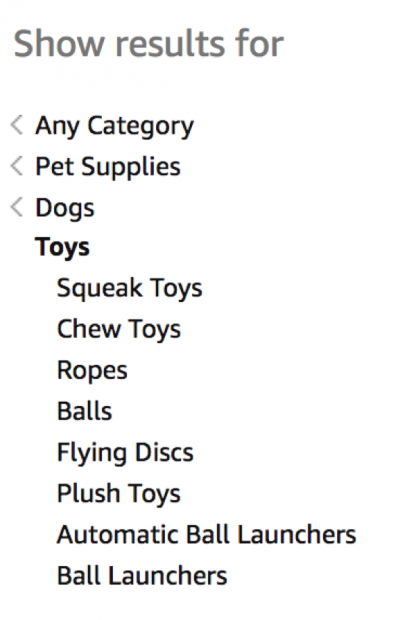 The categories section is also a good resource for keyword research. They also have a few other cool features like negative review alerts and hijack alerts. 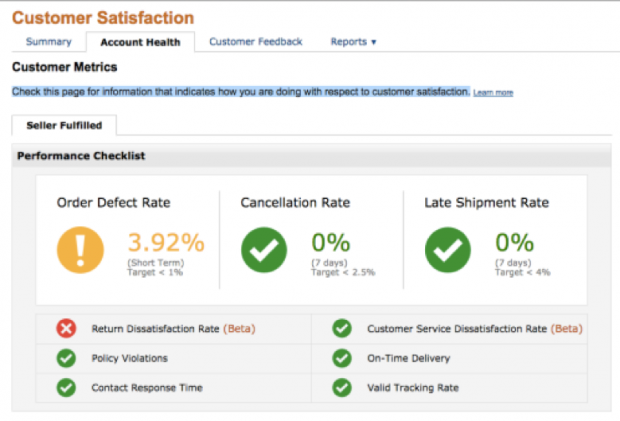 To start creating ads on Amazon, login to Amazon’s Seller Central. Then, select what type of ad you want to create. In this example, we’ll be using a Sponsored Product. Next, select the product or products you want to advertise from your existing list and organize them into ad groups based on your keyword research. You will then be able to determine your campaign targeting structure. Your choices are between automatic targeting and manual targeting. As a beginner, I would recommend starting with automatic targeting. 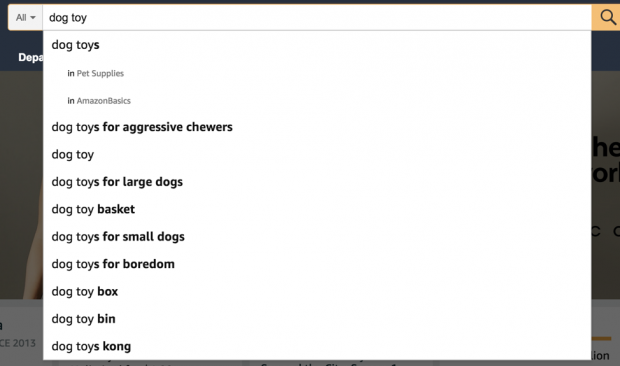 Automatic targeting gives Amazon the power to suggest potential keyword terms for you. If you decide to go with manual targeting, Amazon will give you a list of suggested keywords as well as the option to add your own. This is where you would input any keywords you’ve found using strategies suggested in the previous section. Before, sellers were able to use Amazon Search Terms Report to gather data about each search term, such as clicks, sales, impressions and so on. But since Amazon updated its reporting system last year, this feature is no longer available. You can still pull reports from the Reports > Advertising section, but sellers will now have to use other tools to assist in the research process. The final piece of the Amazon PPC puzzle is bidding strategy. You want to bid based on relevance. This way shoppers will be able to see your ads for matching search terms, but keep in mind that relevance isn’t always about related terms, it’s about searcher intent. If you’re trying to rank for a product search term like “men’s shoes,” for example, associated terms like “Reebok” “Size 10” or “white athletic shoes” will be more relevant. 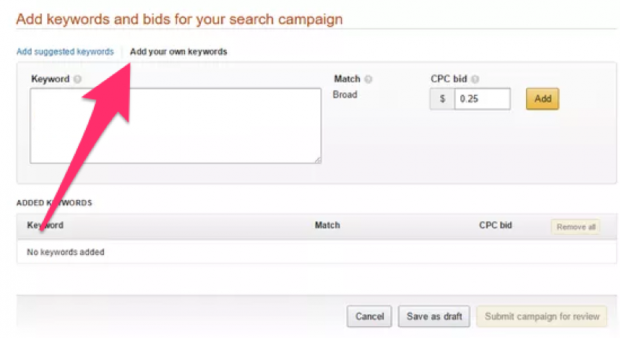 Bid based on related terms that are most likely to get clicks. In other words, quality over quantity. 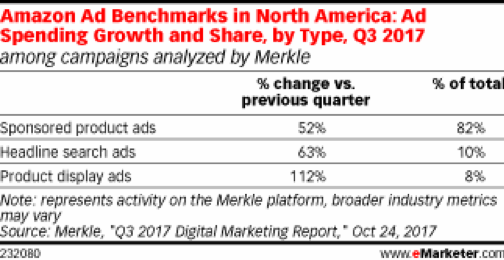 Amazon tends to prefer campaigns that have been running for a long period, assuming that they will gain momentum the longer they run. Having a high budget when you first launch your campaign will allow you to get the initial sales under your belt so that Amazon will start to see you as a preferred campaign. Once you’ve gained some momentum, you can lower your bid prices to fit within your budget without having to worry quite as much about your ad reach. Now You Know How to Get Clicks on Amazon! The more you understand about Amazon, what it considers valuable for campaign success, and the rules and requirements for advertising there, the better your campaigns will be. Keep in mind that Amazon assesses your overall store quality when ranking ads. Sellers must optimize their stores for sales and stay in good standing with Amazon even when they’re not running PPC ads. Don’t get lost without shelf space. Start your PPC campaigns on Amazon to stay front and center with shoppers! All screenshots by author, May 2018.